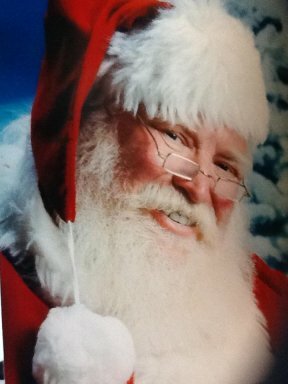 You’ll be amazed at the authenticity when you see and meet the REAL Santa and Mrs. Claus! Be sure to call us today to book the Real Santa and Mrs. Claus for your upcoming Holiday Events! Santa Claus is Coming to town with his two favorite Elves Holly & Jolly! Come for a sumptuous breakfast buffet, pictures with Santa, and sing and dance to all of the great songs of the season. Set the stage for a very Merry Christmas at our Holly Jolly Holiday Party! The Holly Jolly Holiday Party is a 2 hour Breakfast Buffet event that features breakfast, pictures with Santa, and singing & dancing. In a breakfast buffet setting, the children enter the room and are seated, and Santa makes his grand entrance escorted by his 2 favorite elves: Holly & Jolly. Photos and Breakfast Buffet commence and the families rotate the photo op, breakfast, and arts and crafts with Holly and Jolly. After Santa’s photo session (about an hour), Holly and Jolly perform a 30 minute interactive sing-a-long and dance along show with holiday songs including: Jingle Bells, Here Comes Santa Claus, Rudolph the Red Nosed Reindeer, Frosty the Snowman, and more. A final photo op & arts and crafts wrap up, is offered. The show comes “self-contained” with a music producer/DJ/MC and a PA System for all announcing and feature vocals. Optional character add-ons: Mrs Clause (limited availability), Olaf the Snowman (from Frozen) We can bring our own photographer to take pictures and print & frame on-site for purchase.